Instant coffee requires a lot of packaging care. The closure brought to the table by Kornelis bears in mind the special requirements of the product. Foremost, the closure needs to shut properly in order to prevent odour leakage. While a large part of the enjoyment of drinking coffee is to delight in its aroma while making it, having the smell be present constantly in cupboards or kitchens may not be desirable. Also, it indicates that there is interaction between the coffee in its container and the environment around it, which can mean the product will become stale more quickly. Perfect sealing means a longer shelf life, whether in the home or in the store. 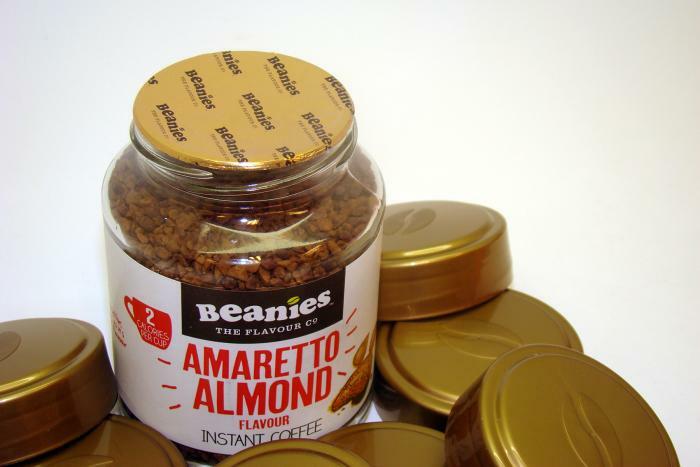 The cap used on Beanies' instant coffees also includes a printed, induction heat-seal liner. The liner offers further barrier control while in the store and also provides customers with a simple, visual tamper evidence (TE) check. At 58mm wide and with a high gloss finish, the closure is certainly an eye-catching item, especially due to the fact that it features a prominent coffee bean motif embossed on the top. 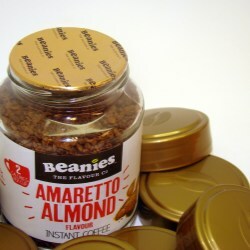 The closure, developed as a joint project between Kornelis and Beanies, was especially designed just for coffee.